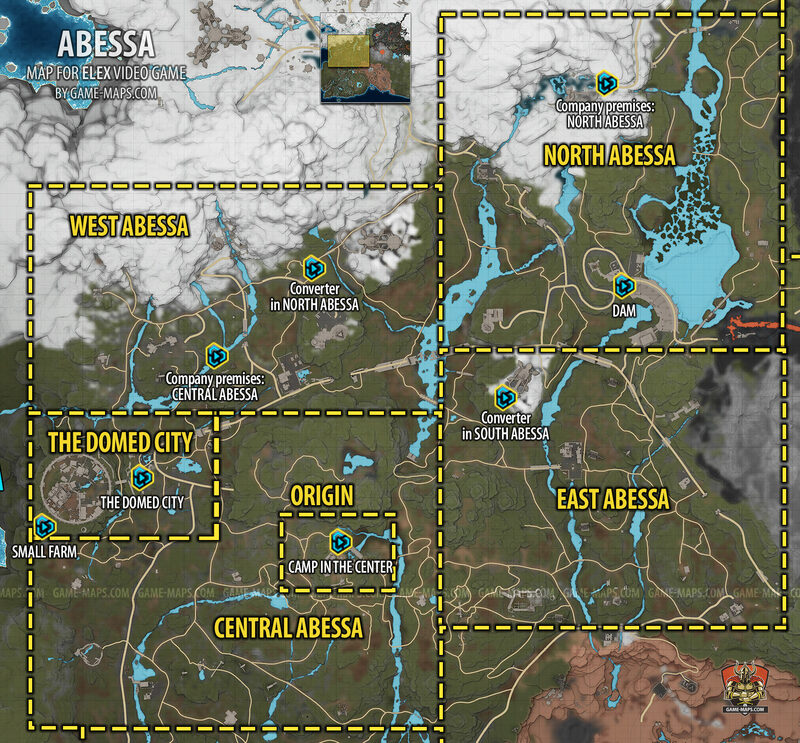 Map of Abessa Region in Elex Video Game. Abessa it is land of Mixed Factions. ELEX Walkthrough, ELEX Maps, ELEX Guide & Wiki.